The brain is the operating department of the human body, whereby it is responsible for initiating the signals for every action and every thought that you are about to take. Imagine if such an important organ within the body was not given the fuel that it needs to help it function well. Yes, you guessed it, it would cause CHAOS! Our brains are made up of essential fatty acids, proteins and phospholipids. The food we eat determines whether we are feeding them all those nutrients, alongside important cofactors to further support the function of the nervous system. Other lifestyle factors such as age and stress can also impact on the brain’s health. However, through diet and nutrition you can try to combat the impact of those factors on the brain. Normal brain function is dependent on multiple interlinking factors, many of which may be influenced by nutritional factors. Neurotransmitters such as acetylcholine, glutamate and dopamine are required for memory, stimulation and motivation respectively, and require raw materials including choline, amino acids and B vitamins for synthesis. Healthy nerve cell structure is critical and relies on essential fats and phospholipids for membrane function. 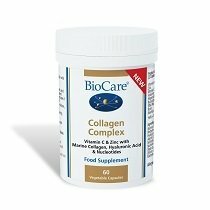 Good circulation to delicate neural and vascular tissues, along with good antioxidant status, are essential to reduce oxidative damage. 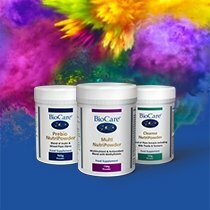 At BioCare®, we have created an entire range of nervous system supplements to assist with good brain health, including products which feature essential nutrients that can be easily incorporated into your diet. 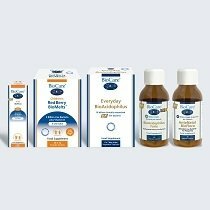 You can choose from a variety of high quality capsules and sachets for increased convenience. Explore the full range of supplements created to support the nervous system below and learn more about the effect of lifestyle factors such as stress on brain health by accessing our Advice section.